MINE Clinic provides best Korean plastic surgery in Seoul, Korea. 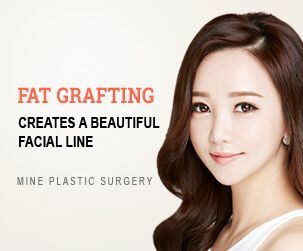 With special care and through latest medical techniques, the MINE Clinic is doing their best to win patient’s confidence and satisfaction with best plastic surgeon in Korea. Being the best plastic surgery clinic in Korea we’re specialized in the fields, such as – Breast Surgery, Nose Surgery, Eye Surgery, Anti-aging, Body Contouring, Facial Contouring etc. A patient wants constant effort and honest services; we value our patient’s demand. Let the Korean plastic surgery medical staffs and Surgeon in Korea at MINE Clinic help you meet your needs. It is a broadly accepted fact that South Korea is the world leader in the field of plastic surgery. The great demand for perfect look among Koreans has generated a big number of Korean Plastic Surgery Clinics. Nowadays thousands of patients come to Korea from all over the world to do plastic surgery. Gradually, among hundreds of clinics in Korea, Mine plastic surgery clinic is a Korean plastic surgery clinic that specializes exclusively in Breast Surgery, Nose Surgery, Eye Surgery, Anti-aging, Body Contouring, Facial Contouring etc. The work style of the Best Plastic Surgeons in Korea from Mine clinic attracts many people by natural results. Our specialist will provide you better support and help you to get precisely what you need. Excellent education and outstanding work experience, allows Best plastic surgeons in Korea create a real miracle in their surgery for mine clinic patient. Mine plastic surgery clinic in Korea has many years of experience working with patients from all over the world. Every doctor of our clinic expertise in a specific area of plastic surgery and they are improving their skills being specialists in their field. Being the best plastic surgery clinic in Korea, safety and well-being of customers is our top priority. If you are planning for a surgery in South Korea Plastic Surgery, Mine plastic surgery Korea is best choice for you. The advances that allow recovering the appearance and functionality to the individual are one of the great benefits of South Korean plastic surgery today. The benefits of plastic surgery are aimed at both physical and internal health, read emotional, spiritual, and mental. With special support and latest medical techniques, the MINE Plastic Surgery Clinic is doing their best to win the patient’s heart with satisfaction. People think that Korean Plastic Surgery Cost is very high, but we prove it wrong. Though the Mine clinic provides the Best Plastic Surgery in Korea, its cost is very affordable. So people who are interested in Korean Plastic Surgery don't have to worry about Korean Plastic Surgery Cost. Korean Plastic surgery before and after photograph is the satisfactory result of our utmost efforts. You can get quite a variety of Korean plastic surgery before and after image experiences right here from some actual surgical operation case of mine clinic.